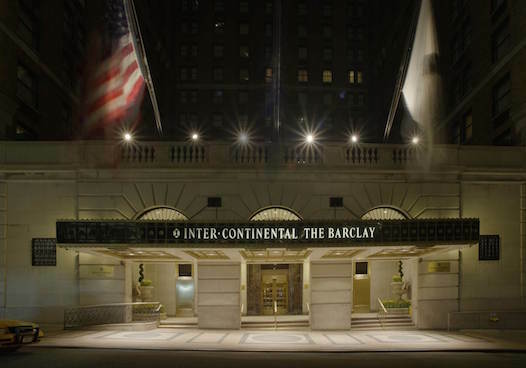 US Open | InterContinental New York Barclay Second Week Packages | Tennis Tour Packages - Steve Furgal's International Tennis Tours ~ Experience a Tennis Trip of a Lifetime! The world's best players are competing, but who will end up in the finals of the US Open Tennis Championships? Select a second week package and it is likely you will witness one or all of the contenders! Join in for the most exciting time of the tournament. This iconic four star hotel is located in Midtown East on the corner of East 48th and Lexington Avenue and conveniently located near must-see New York sights such as Grand Central Terminal, the Empire State Building, Rockefeller Center, and Broadway theatres. The hotel's 90-year legacy is celebrated in its 2016 redesign and renovation by combining elegant and contemporary design with Federalist style details and local artwork. 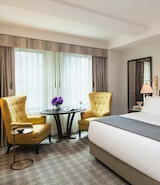 Guestrooms have been furnished in Park Avenue residential style and include flat-screen TVs, premium bedding, coffee makers, mini-bars, safes, hair dryers and toiletries, and Wi-Fi.